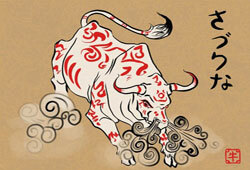 Chinese Zodiac Ox Meaning - What Do You Know about this Animal Sign? Home || Chinese Zodiac Ox || Chinese Zodiac Ox Meaning – What Do You Know about this Animal Sign? 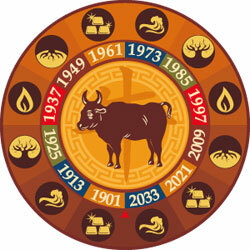 What is Chinese Zodiac Ox Meaning? Because of its virility, power, and regal presence, the Bull has become a symbol for worship in many ancient cultures. In China, this animal is one of the twelve zodiac signs in the lunar calendar. The signature traits of the Ox are perseverance, stability, determination, and long-suffering. This animal is also symbolic of hard work, methodical progress, materialism, and rigid determination; moreover, it’s seen as a protection and guardianship sign. 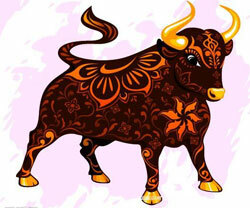 Unlike Western astrology, the sign of Ox corresponds to winter (the fixed season) and has Yin properties. According to Chinese Zodiac 2017 for Ox Meaning, the Bull is the most dependable of all the animal signs in the Chinese zodiac cycle. Whether it’s for love, family, or friends, the Ox natives will instinctively take on the load in any of their relationships. Most people may think of this as an unfair burden to bear; however, the Oxen get enjoyment and satisfaction out of the weight it bears. Once this animal makes it decisions, there’s no impossible way to make it waver from the set path. The Bull is always known for its great determination when working, but their stubbornness, sometimes, may lead to the wrong course of action. From outward appearance, you seem to be a calm person; however, you’re very ambitious when it comes to career and finances. From the Oxen’s perspective, they can’t stop seeking potential abilities and supports in life. If you still have any confusion regarding Chinese Zodiac Ox Meaning, feel free to phrase questions via the contact form below.